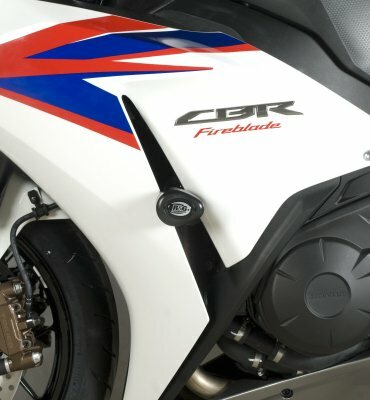 Suitable for the Honda CBR1000RR ('12-). 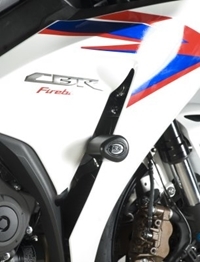 These crash protectors have been developed as a non-drill crash protector kit featuring our stylish, aerodynamic Aero Bobbins and are available in black utilizing stainless steel mounting blocks and brackets for strength powder coated black for a superb finish. R&G Aero Bobbins from R&G Racing - the market leaders in crash protection. As used by some of the worlds top race teams, what better endorsement do you need! 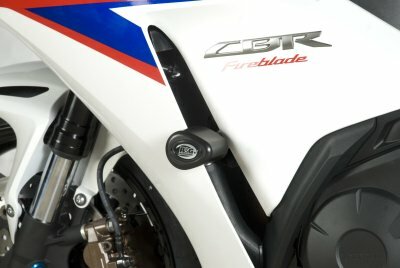 R&G Racing - innovation not imitation!